Europe, referred to as the Old Continent, has always had its own flair and elegance and European online casinos have done a great job in reflecting that European style. There are plenty of European online casinos, and we will try to give you a brief but deep insight about the best ones and what makes them best. Eurogrand is owned by operated by highly regarded William Hill. Part of the Playtech family. Access to all the new Playtech games and jackpots. Regular regular cash back refunds and monthly loyalty bonuses. Very popular! 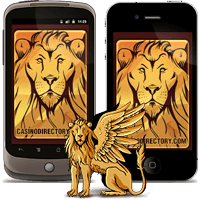 We adhere to strict criteria when selecting European casinos to be displayed on CasinoDirectory.com. Here are some of the most critical things we evaluate carefully when we select and review an online casino. Only European casinos that fulfill our complete set of requirements will be eligible to be listed on this page. 24/7 CUSTOMER SUPPORT That customer support is always available with European friendly contact options. Whether you are resident of the European Union or the European continent itself, it doesn't matter. The casino game list we have created contains the best and most popular online slot machines and casino games for all European based players. Whether you are fan of progressive slots, mobile play, European Roulette or Blackjack, we have it all here. Practically all the games you will find here belong to online casinos that are fully licensed and accredited in Europe. Make sure to use the exclusive welcome bonuses when you sign up (inside each game review). This will give your bankroll a nice boost at no extra cost! Is there an overall gambling legislation pertaining to Europe as a whole? It’s not easy to discuss about European online casinos when so many individual and national laws exist over the entire continent. Despite the existence of the European Union, the EU members haven’t been able to reach uniform law that will apply to all EU countries. The situation is similar as in the United States, where you can find plenty of state laws each with their own definitions about online gambling. But there is a very important difference. US officials and politicians are much more hostile towards online gambling, as opposed in Europe, where the situation is way less tense. The tendency of European governments is to control online gambling with regulations and taxation, and not to make it fully illegal, although there are some cases where individual countries have done so. Are there any licensing jurisdictions in Europe? In fact there are. If you’re familiar with online gambling you’ve probably noticed the names of Malta, Isle of Man or Gibraltar. These jurisdictions are all within the borders of Europe and are some of the most reputable ones that issue gaming licenses and online casinos usually open their offices in one of these jurisdictions. Other jurisdictions in Europe that issue licenses are Alderney and Cyprus, but these casinos are fewer. What payment options European online casinos offer? Europeans have probably the widest selection of payment methods compared to players from other continents. European players can deposit with a wide range of credit and debit cards, e-wallets, prepaid cards etc. It’s very difficult to name them all because the list is huge, so instead we’ll name the most popular ones: Visa, Mastercard, Neteller, PaySafeCard, Ukash, Click2Pay, WebMoney, Skrill, PayPal and so on. Can European players deposit in their local currency? This largely depends where you live and if the online casino targets players from your country by offering transactions in your currency. In general, European online casinos offer wide range of currencies in which you can deposit, withdraw and even play the games directly with that currency without converting it to Euros or British Pounds. Other currencies you may encounter are Danish Krone, Norwegian Kronor, Swedish Kronor, Russian Ruble, Swiss Franc, and some lesser currencies like Bulgarian Lev, Croatian Kuna, Czech Koruna, Romanian Leu, Polish Zloty etc. Are European online casinos safe? We can safely assert that these are the safest casinos you’ll get. We wouldn’t want you to get us wrong, since there are plenty of safe non-European online casinos, but you cannot go wrong with a casino licensed in one of the European licensing jurisdictions. European casinos are strictly regulated and liable to perform regular audits and to receive quality assurance approvals by relevant authorities. eCOGRA is a European and internationally accredited testing agency that provides industry standards for players’ protection. If you see the eCOGRA Seal of Approval at a casino’s website (usually displayed at the bottom of the site) you’ll know that the online casino has been approved for its security, software, randomness of games, payouts and every aspect that might affect players in a negative way. MICROGAMING Microgaming is definitely one of the leading software providers in Europe, or in the World for that matter. Practically all online casinos using Microgaming software are very friendly towards players from Europe. Read our reviews that contain licensing info, deposit options, bonus terms and exclusive player bonuses. PLAYTECH Together with Microgaming, Playtech is another software that is extremely popular among European casino players. Some of the top games include European roulette, Live Blackjack, and Gladiator progressive slots. 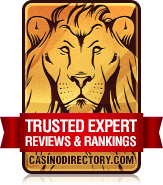 Check our list of top rated Microgaming casinos. BETSOFT Licensed in Alderney, Betsoft is the producer of well-known three-dimensional online slot games. Their expertise in graphics and flash technology gaming has made them a front-runner when it comes to 3D gaming online. See our list of top Betsoft casinos here. NETENT NetEnt casinos are casino brands that are powered by Net Entertainment software that holds a license in Malta, Europe. This has made NetEnt and safe and popular choice among Europeans. 100% fair games can be assured since all games released must be approved by Lotteries and Gaming Authority of Malta. This very simple process (for us at least) can be a real nightmare for inexperienced players. You may feel excited to hear that there are hundreds, if not thousands of online casinos, but this might be scary too, because there are plenty of them that are actually scams or bad eggs. Choosing the best online casino is not like going to the store and buying groceries, it’s more like buying yourself a new computer, and to do that you need to know what exactly to look for and what specifications you need. Read our important tips below and enjoy your search. Getting to know about a certain online casino from other players or from sites that go the extra mile and devote time to review online casinos like we do is probably one of the smartest moves you can make. It’s very important to listen to other people’s direct experience from playing at a particular online casino. Another good thing to do is to directly go to the website of the casino and look for any approvals or certifications from organizations like eCOGRA or third-party auditors like TST, which are usually displayed by the casino itself. The best welcome bonuses are not only the biggest ones, but the ones that are fair and offer fair conditions by giving you the chance to withdraw your winnings as a reward for your decision to wager at that particular online casino. That is the whole point of a welcome bonus, to give you something in return for your depositing, not just to incite you to sign-up, make a deposit and limit you with some ridiculous wagering requirements or terms. As technology takes over our life more and more, the popularity of the concept of online gambling grows with it, and sadly this attracts many hoaxes and scamming casinos. Make sure to always check if the casino is licensed by one of the licensing jurisdictions noted for their strict regulations like Gibraltar, Malta, Isle of Man, Curacao, Antigua and Barbuda, or Kahnawake. Lack of license may very well mean that something fishy is going on. Reputable European and non-European online casinos always reveal their licenses at their websites. Gambling Therapy People with gambling addiction who reside outside the Great Britain can use Gambling Therapy website as an online tool to receive practical advice and support from trained advisors. Adictel Adictel is dedicated to preventing problem gambling through a three-step programme while providing support for persons who are struggling to control their gambling habit. Fachverband Glucksspielsucht Fachverband Glucksspielsucht is the leading German organisation that offers expert counselling, support groups and specialist clinics for pathological gamblers, with free online help available in German and Turkish. AGOG AGOG Foundation organises self-help groups of gamblers anonymous within the Netherlands in an attempt to provide assistance to problem gamblers as well as their families to best cope with the situation.